Fall signals the rapid weather and thermal changes that will occur later this year. These changes can greatly affect your home’s comfort and efficiency. Before winter comes knocking, wrap up your home care routine. Your gutter system plays a key role in protecting your home from water damage, so it’s essential to keep it clean and protected. In the changing seasons, leaves and other debris can easily settle in your system, so be sure to install gutter guards for protection. Kroll Construction can offer valuable assistance and maximum protection with our patented GutterGlove® gutter protection system. This prevents leaves and other debris from clogging your gutters, while effectively guiding rainwater or snowmelt away from your home’s foundation and exterior walls. This also reduces the necessity of regular gutter cleaning, which is stressful and risky work for homeowners. If drafts and frosted windows recur in your home, especially in winter, it might be time for replacements. You can swap your old wood windows for newer, more energy saving models by calling your reliable contractor for quality roofing and windows in Detroit. At Kroll Construction, we will make sure that your home maintains its comfort and energy efficiency with our selection of window replacements. 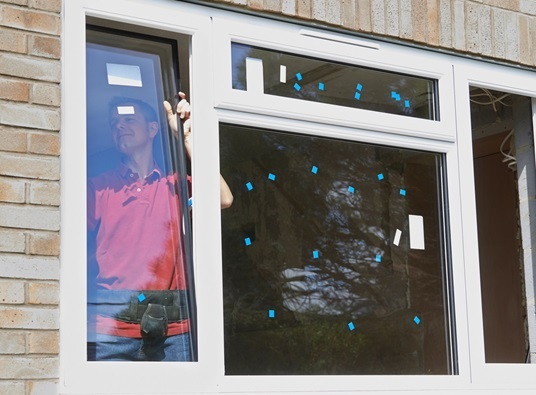 We offer sturdy Alside windows that feature vinyl frames and Low-E4 glass. This will increase your home’s value, keeps your indoor temperature comfortable, and ensure more savings on energy costs. As your primary defense against the elements, your roof should be ready in the coming winter. Don’t worry, though, it won’t involve climbing onto your roof yourself to do repairs. You can contact your trusted roofers, Kroll Construction. Our expert team can conduct a thorough inspection of your roof’s condition. Our roofers are licensed and insured, along with having extensive knowledge on roofing. When you turn to us, we will make sure that your roof extends its service life until the need for replacement. Keep us in mind for your home improvement projects this fall. We’ll have your home winter-ready in the best way possible. Call us today at (888) 338-6340 for a free estimate.